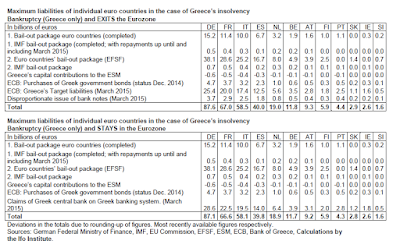 Mish's Global Economic Trend Analysis: Base Case Becomes Grexit; Contagion? 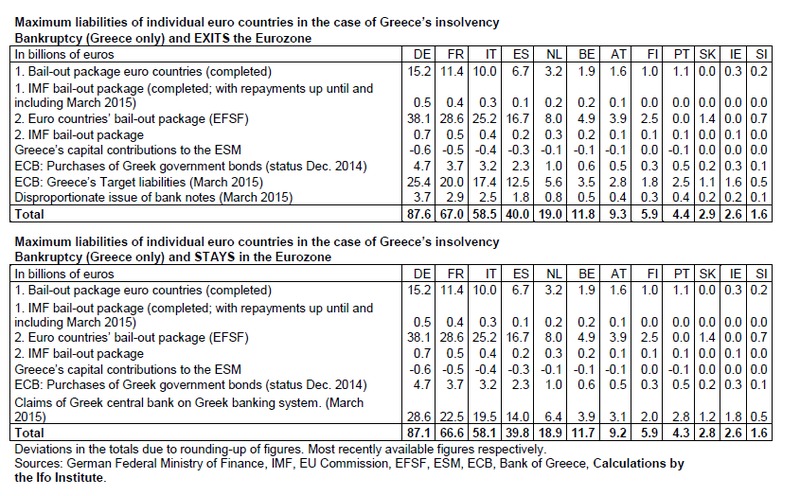 Base Case Becomes Grexit; Contagion? At long last the deniers have thrown in the towel. Grexit is now the base case as Europe Braces for Messy Greek Endgame. The bottom line is that Athens won’t get any money unless it can reach a deal that satisfies the IMF that Greek debt is on a sustainable path and that it has a medium-term funding plan in place. The eurozone won’t disburse its own bailout funds without a deal that carries this IMF seal of approval. The likely scenario is exactly the same as it was in 2010, 2011, 2012, 2013, and 2014: default. Various can-kicking exercises simply lasted that long. ECB belief that Grexit will not cause contagion. Bear in mind, Grexit could cause a very messy breakup for the eurozone. That doesn't matter. What matters is belief. As long as the ECB thinks it has the "tools" to prevent major problems, then it will be prepared to let Greece go. Reuters reports Greece's Varoufakis Warns of Grexit Contagion. Greece's Finance Minister Yanis "Some claim that the rest of Europe has been ring-fenced from Greece and that the ECB has tools at its disposal to amputate Greece, if need be, cauterize the wound and allow the rest of euro zone to carry on." "I very much doubt that that is the case. Not just because of Greece but for any part of the union," he said, speaking in English. "Once the idea enters peoples' minds that monetary union is not forever, speculation begins ... who's next? That question is the solvent of any monetary union. Sooner or later it's going to start raising interest rates, political tensions, capital flight." His comments were recorded before those of Mario Draghi, the European Central Bank's president, who this weekend said the euro zone was better equipped than it had been in the past to deal with a new Greek crisis but warned of uncharted waters if the situation deteriorates. said in an interview broadcast on Sunday that if Greece were to leave the euro zone, there would be an inevitable contagion effect. One problem for Varoufakis is that no one believes him. They believe Draghi. Will there be contagion? It's not a given but it's likely eventually, arguably later than sooner. For example, if Greece exits the eurozone, then gets its act together on reforms, its economy will recover much faster than if it stayed in the eurozone. Shedding of debt obligations will do wonders, if handled properly. In such a scenario, a choir of voices in Spain, in Italy, in Portugal, and perhaps even France will seek the same opportunity. The eurozone fear should not be that Greece blows up, but rather that it doesn't. That will take some time to sort out. Grexit will be no overnight miracle for Greece, so no exit contagion, but there will be other problems for the eurozone effective immediately, including shared responsibility percentages for Greek debt.